Hurray! Woot, Woot! TeenNat is almost here! Laptop computers are plugged in and getting updated. Boxes and boxes of cameras are being unwrapped and labeled. Batteries for GPS units are being charged. Dozens of colorful field guides are being gathered and carefully placed in the classroom. T-shirts are being ordered and phone calls are being made. Pepperwood education staff are busy, excited, and maybe even a little stressed. This is it, the week before TeenNat! We have waited all year to meet our new cohort of TeenNat interns, our young protégés, the ecologists, engineers, and environmental educators of tomorrow and we are giddy with anticipation. 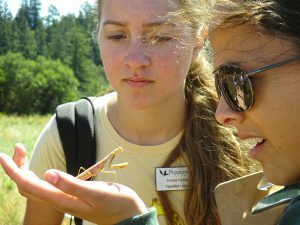 TeenNat is a five-week, summer internship that combines outdoor exploration, technology, social media, photography and forest ecology. We train the interns to use GPS units and digital cameras to document species and their locations via expeditions on the preserve. Using laptop computers to manage the visual, written, and geographical data collected, interns share their observations to the iNaturalist.org global data platform. 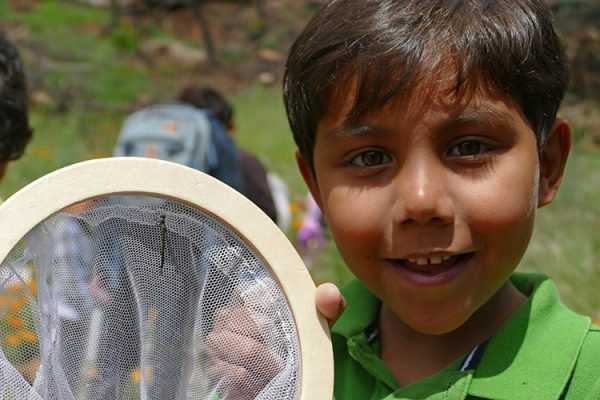 Pepperwood educators and researchers deliver lessons on a range of topics including how to use GPS units and digital cameras, identify plants and animals, use field guides, construct a scientific inquiry, pursue natural science careers, and enjoy the wilderness safely. The interns also take part in a Career Day and interview local STEM (Science, Technology, Engineering and Math) professionals. At the summer’s close, our TeenNat interns’ amazing photographic observations are shared in a public exhibit held in Pepperwood’s Dwight Center Gallery. During the school year, interns take part in on-going activities that continue to increase skills and link interns with career opportunities. This summer, several will be returning to help out with the program as mentors and two will—for the first time—be paid TeenNat Assistants. Eighty-two teens have participated in TeenNat to date. 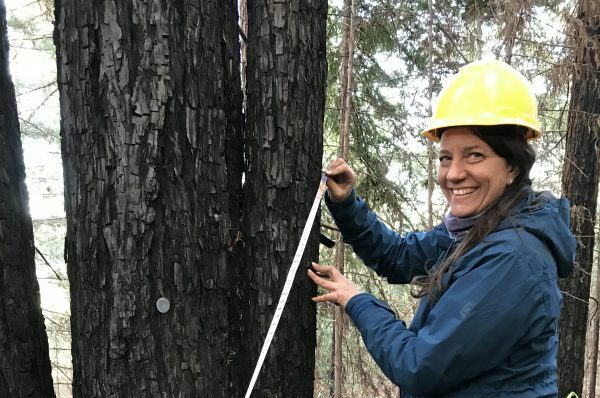 Several graduates have gone onto to pursue natural resource careers through studies at University of California campuses, University of Puget Sound, and elsewhere. Our nation needs many more STEM professionals. For more than a century, science has been a driver of the US economy, yet we are facing a major shortfall in our supply of scientists. As explained in the recent report to the President titled Engage to Excel: Producing One Million Additional College Graduates with Degrees in Science, Technology, Engineering and Mathematics, one million more STEM professionals will need to be added to the American workforce in the next decade to meet the coming demand. Women and minorities constitute a majority of US college students at 70% but only represent 45% of STEM majors (President’s Council of Advisors on Science and Technology, 2012). 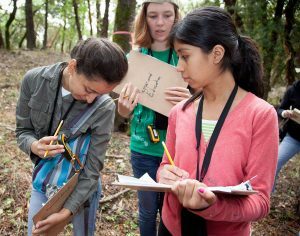 A primary recommendation in Engage to Excel is that private industry should collaborate with high schools to develop summer STEM learning programs. TeenNat is such a program. As our country seeks to grow more scientists, the scientific community is facing the tremendous challenge of documenting the ever-changing biological diversity of the planet in the face of global climate change. 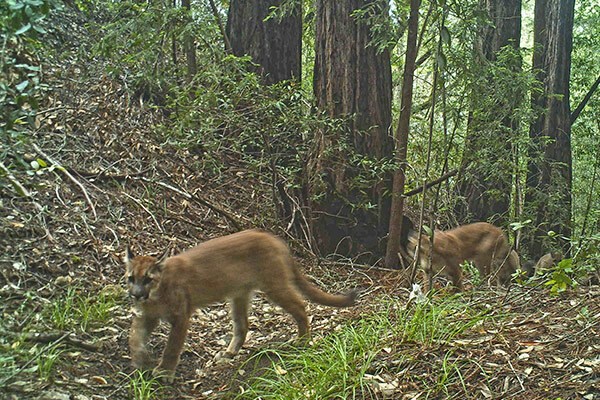 More and more researchers are turning towards the community of so-called “citizen scientists” to help gather the information they need to track how animals and plants are adjusting to changes in the environment. Data from TeenNat uploaded to iNaturalist.org goes into the Global Biodiversity Information Facility database, the most comprehensive repository of biodiversity data in the world. It is accessed every day by researchers from across the globe. Our TeenNat interns and the work they will be doing represent the future. This summer as they gather and share crucial data, some of our interns will be growing a burgeoning interest in the outdoors, whereas some will be challenging themselves just to be comfortable outside in a wild place. As they work together to identify species and learn how to collect and manage data, some of our interns will have to step outside their comfort zone learning to work with new colleagues. 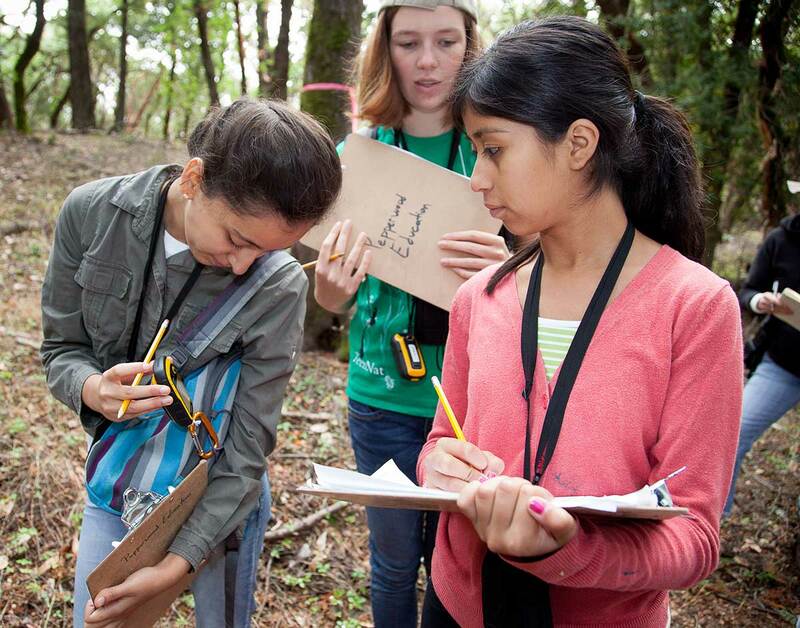 As they engage with scientists online and take pride in their discoveries, we truly believe some of our TeenNat interns will be taking their first steps on pathways to environmental careers that will benefit our community for years to come. Stay tuned for more updates about TeenNat. Your donation makes TeenNat possible! Please consider making a tax-deductible gift using the link below. We’re grateful for your support!